Ta-Nehisi Coates reads from The Beautiful Struggle. ; Paul Fox reads from The Coldest Winter. ; Philippe Grimbert reads from Memory. Ta-Nehisi Coates discusses The Beautiful Struggle: A Father, Two Sons, and an Unlikely Road to Manhood. Ta-Nehisi Coates is currently considered a "single author." If one or more works are by a distinct, homonymous authors, go ahead and split the author. 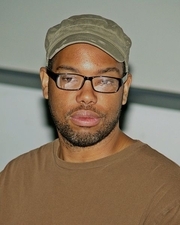 Ta-Nehisi Coates is composed of 2 names. You can examine and separate out names.